The Governor of the Bank of England, Mark Carney, has issued a statement following the results of yesterday’s EU referendum. This morning, it was revealed that Britain has decided to leave the EU, with 51.9% of the vote. “The people of the United Kingdom have voted to leave the European Union. Inevitably, there will be a period of uncertainty and adjustment following this result. “There will be no initial change in the way our people can travel, in the way our goods can move, or the way our services can be sold. And it will take some time for the United Kingdom to establish new relationships with Europe and the rest of the world. Some market and economic volatility can be expected as this process unfolds. “But we are well prepared for this. The Treasury and the Bank of England have engaged in extensive contingency planning, and the Chancellor and I have been in close contact, including through the night and this morning. “The Bank will not hesitate to take additional measures as required, as markets adjust and the UK economy moves forward. 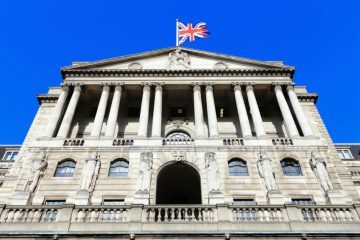 “These adjustments will be supported by a resilient UK financial system – one that the Bank of England has consistently strengthened over the last seven years. “The capital requirements of our largest banks are now ten times higher than before the crisis. 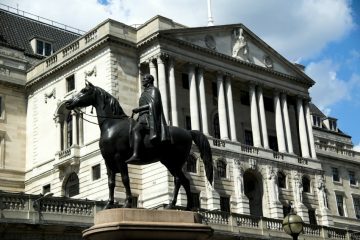 The Bank of England has stress tested them against scenarios more severe than the country currently faces. Carney explains: “This substantial capital and huge liquidity gives banks the flexibility they need to continue to lend to UK businesses and households, even during challenging times. “Moreover, as a backdrop, and to support the functioning of markets, the Bank of England stands ready to provide more than £250 billion of additional funds through its normal facilities. 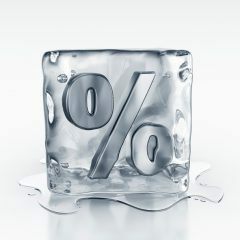 “The Bank of England is also able to provide substantial liquidity in foreign currency, if required. “We expect institutions to draw on this funding if and when appropriate, just as we expect them to draw on their own resources as needed in order to provide credit, to support markets and to supply other financial services to the real economy. He concludes: “A few months ago, the Bank judged that the risks around the referendum were the most significant, near-term domestic risks to financial stability. “To mitigate them, the Bank of England has put in place extensive contingency plans. These begin with ensuring that the core of our financial system is well-capitalised, liquid and strong. This resilience is backed up by the Bank of England’s liquidity facilities in sterling and foreign currency. All these resources will support orderly market functioning in the face of any short-term volatility. “The Bank will continue to consult and cooperate with all relevant domestic and international authorities to ensure that the UK financial system can absorb any stresses and can concentrate on serving the real economy. “That economy will adjust to new trading relationships that will be put in place over time. It is these public and private decisions that will determine the UK’s long-term economic prospects. “The best contribution of the Bank of England to this process is to continue to pursue relentlessly our responsibilities for monetary and financial stability. “These are unchanged. We have taken all the necessary steps to prepare for today’s events.